Curls to Go is a new line created by natural hair care brand Jane Carter Solution for all kinds of curly hair. I've been playing around with the six products in this line for a month and have to say, I am absolutely loving them! 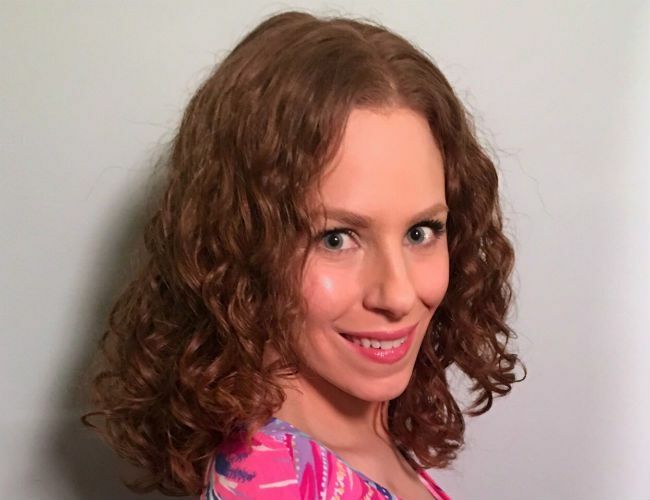 The new Curls to Go line is intended for curly and coily hair, but if you have naturally dry, wavy hair like mine, hear me out, you may benefit from this. Just keep in mind the amount of product being used--it is good to go with the 'less is more' approach with this one and gradually add more only if you need it. This 2 in 1 sulfate-free formula releases hydrating doses of essential conditioning ingredients. The fragrance is floral without the fruitiness mixed in some of the other stylers, which I love. It's not bad, but not my favorite. I don't mind styling products in tubs, but I am not crazy about this one. I would prefer having a co-wash that I use in the shower in a pump or bottle, as a tub runs the risk of too much water into the product, and because of how much space it takes. That being said, the co-wash itself is nice; it left my hair clean, moisturized and feeling oh so soft. There is no lather at all, but that doesn't bother me. Every time I use this, even when my hair is dry after washing, I still feel the softening effects. As soon as I put this co-wash on my hair, and I applied it to scalp and lengths, my fingers just glided through my hair effortlessly. This is good stuff. Enriched with Shea Butter, Coconut Oil, Aloe Leaf Extract . Out of all the products in the line, scent-wise this is my least favorite. It kind of smells like a floral Play-Doh to me which isn't necessarily bad, but not quite what I was expecting compared to how yummy the rest of the stylers smell. This is more of a heavy cream, so for hair that feels weighed down easily, take an extremely light hand with this one--or just stick with the leave-in. I have used this in place of a leave in a couple of times since the winter air was so dry where I live. I also used this product on Day 2 or 3 hair to add moisture back to my curls, and it worked very well as long as I didn't use too much. Overall, this styling creme defines my curls nicely and leaves them feeling incredibly silky each time I use it, although I have not tried it without gel on wet hair yet. The silky-smooth feeling I get is wonderful, and I have even multi-tasked this product as an overnight pre-poo treatment before for its beneficial conditioning properties. Great to apply to wet or damp hair to elongate curls. It dries clean and shiny leaving hair soft and frizz free. This deliciously fruity smelling gel is wonderful--and I love pumps! This medium hold gel is different than a lot of gels I use. It does dry a bit stiff but scrunches out effortlessly and leaves me with soft, defined waves (it is actually an elongating gel). When I use it I notice longer, softer, frizz-free waves that feel like silk. If you are looking to stretch out your curl pattern this is an excellent product to help with that. This gel also plays nice on days-old hair to help with frizz, control, and adds shine. Water based mist instantly hydrates and strengthens curls. Adds complex Amino Acid and Silk proteins necessary to rebuild stronger, shinier hair. Enriched with Shea Butter, Sage, Nettle and Rosemary. Natural glycerides seal in moisture, making hair healthy and manageable. I have really been enjoying this as a refresher spray for second and third day hair. It has a light floral-fruity scent that is very pleasant. It adds bounce back to my curls that may have drooped from sleeping and/or working out, and I don't need to use a whole lot. This spray leaves my hair feeling soft and I like that there are ingredients inside that help moisturize AND strengthen my hair. I spray a little bit every day is a leave in treatment. I also really like the sprayer on the top of the bottle, it distributes a nice, even, fine mist. This is a nice leave in that plays well with stylers from several different brands. It is on the lightweight side, so if your hair gets weighed down easily, this one may be a winner. I did not need to use a lot, but at the same time a little didn't go a long way for me, so it is somewhere in the middle for my hair as far as how much I need to use. You may want to experiment with the quantity you use. It has a fruity-floral scent, which was a tad less juicy than the Elixir (below). Still, it was quite delicious. This leave-in also has excellent slip; I've used it on days-old hair to add moisture back in which it did pretty well, instead of reaching for the Curl Cocktail Crème. For Smoothing, Conditioning, Sealing In Moisture and adding instant shine to Curly Hair. This serum leaves hair feeling silky smooth, soft and shiny. Great as a Shampoo Prep for extra dry or damaged naturally curly hair. It seals in moisture, eliminates breakage and frizz and leaves hair with an amazing shine. This oil blend is amazing. The scent is so addictively juicy and fruity. I've used this to seal my wet styled hair as part of the "L.C.O." method and also on dry hair if I needed additional shine after using the mist. It is lightweight but really does enhance the shine without looking greasy or weighing my hair down. Used on wet hair, I noticed this product impressively cuts down my frizz! Used on wet hair, I noticed this product impressively cuts down my frizz! On wet hair, I usually use 2 sprays per section (on seven sections). I have also been using a spray here or there and rubbing it into my cuticles which is making my nails look nicer too, but to be honest, I've been doing this since I love the fragrance so much. After using it extensively, this curl elixir now has a place on my favorite oil blend list! Great performance, great ingredients, great scent and easy to control spray bottle...it's really that good. Overall, my experience with the Jane Carter Solutions Curls to Go line is quite positive. 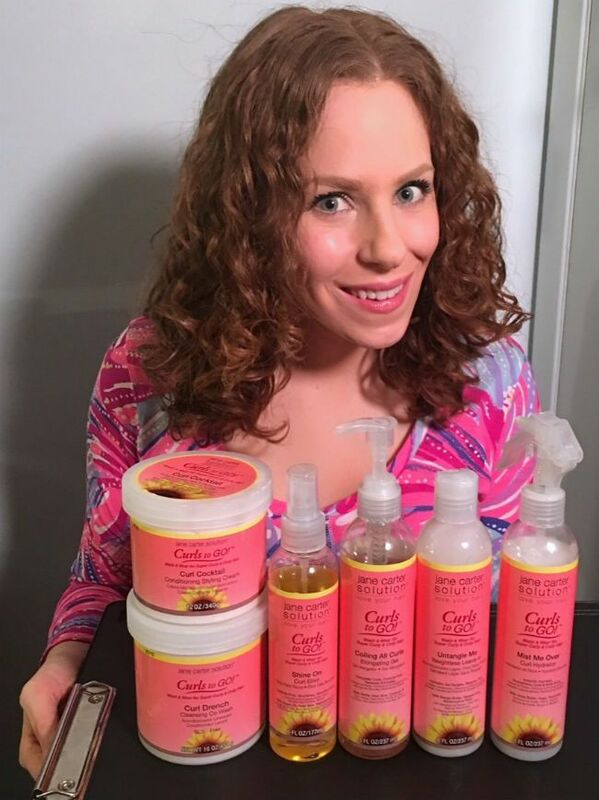 I really did enjoy all of the products, some more than others, and with the Shine On Curl Elixir and Mist Me Over Curl Hydrator being my very favorites. I would LOVE to see Jane Carter Solution add a Deep Treatment to this line!!! 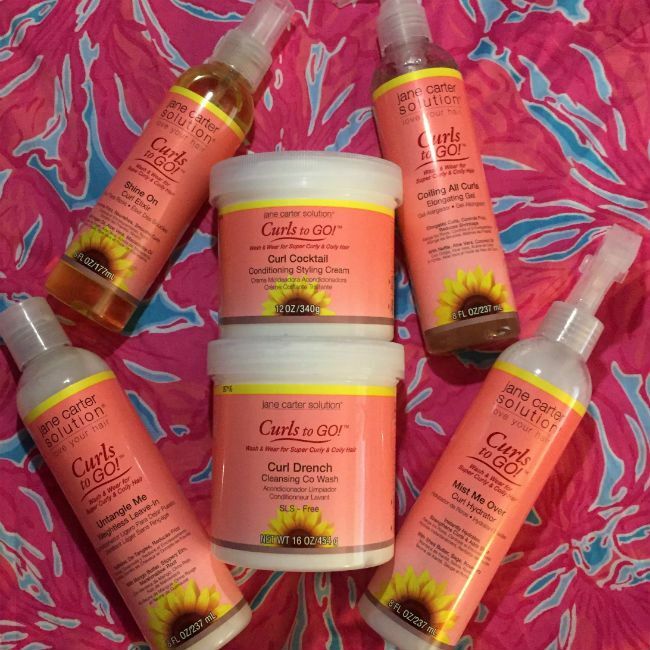 Have you tried Jane Carter Solution's Curls to Go line yet? Tell us your experience in the comments below.